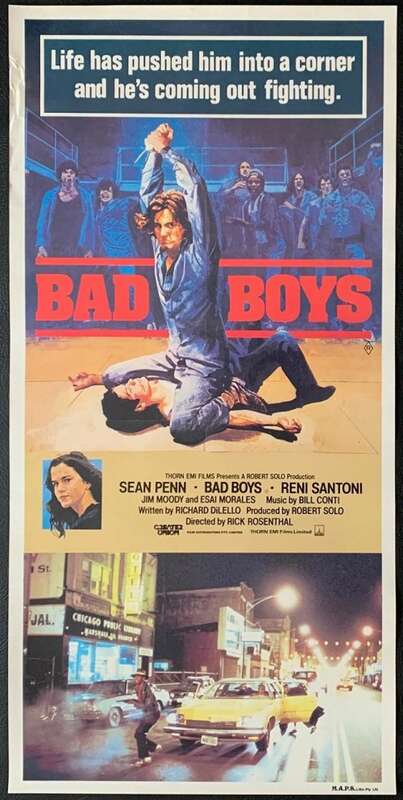 Bad Boys is a 1983 American coming-of-age crime drama film primarily set in a juvenile detention center, starring Sean Penn, Esai Morales, Clancy Brown and Ally Sheedy in her film debut. The film is directed by Rick Rosenthal. 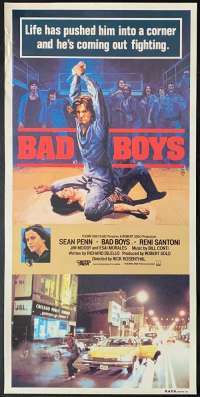 The original music score was composed by Bill Conti. The soundtrack of the film comprised some late, eccentric funk tracks, as well as Billy Squier and Iron Maiden. Comments: There is a very faint additional horizontal fold line above the top credits box in the green artwork, it can barely be seen.